Specifically formulated for repairing constructional cracks and voids with widths between 5mm and 100mm in brick, natural stone and concrete. 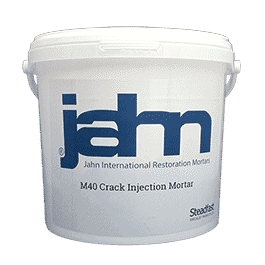 Jahn M40 Injection Mortar is a mineral-based, single-component mortar that is supplied ready to mix with water. This improves quality and consistency of application in the field. M40 contains no acrylic or latex bonding agents or additives, is of pure origin and free from any toxic substances. It is vapour permeable for compatibility of masonry substrates. M40 is an adjusted mortar for sealing constructional cracks ranging from 5 mm to 100 mm. It may be used in both non-structural and load bearing situations. M40 is coarser than M35 and M30. Sealing constructional cracks from 5mm to 100mm in brick, natural stone and concrete. 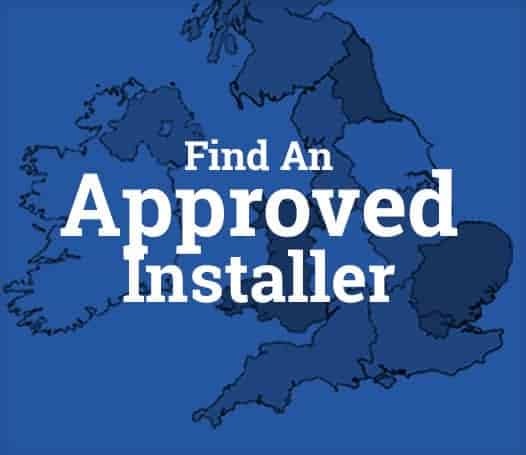 Vapour permeable – prevents failure due to salt expansion or freeze/thaw cycles.